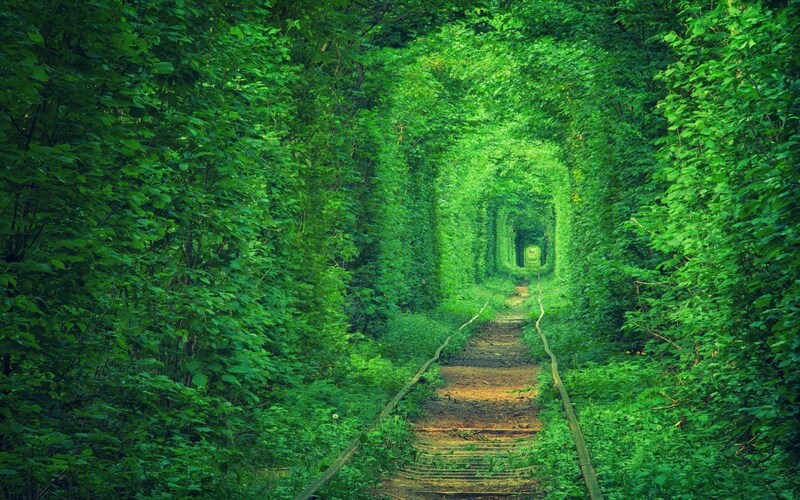 The “tunnel of love” is a beautiful place located in Klevan, Ukraine. It is a 3-kilometer long railway that leads to a wood processing factory. Perhaps this seems more boring than you thought, but what makes these roads take the name of “Tunnel of Love” is the spectacular foliage that surrounds them, which has been created by the swing of trains and whose splendor is worthy of being preserved in paintings and photographs. 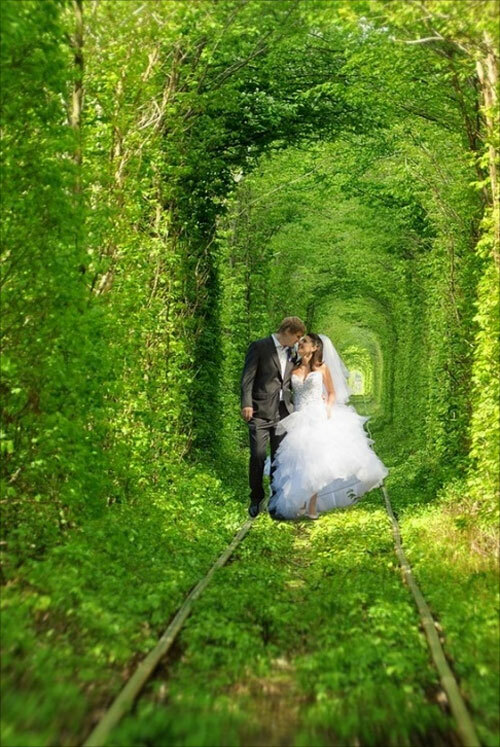 The result is a dense tunnel where the branches of the trees barely let sunlight in, a landscaping creation so striking that it has become one of the favorite places for couples. They say in the place that, if two people are sincere in their love and cross the tunnel holding hands, their wishes are fulfilled. According to the records of the city of Klevan, formerly there were three trains on the road that transported materials or people from the factories to the city or vice versa. However, they stopped circulating, which gave rise to the foliage of the forest growing around the tracks. Today, part of the road is still in operation, with a private route train that fulfills the same task of yesteryear and its noisy singing tells couples to turn away from the road. The vegetation tunnel reaches a third of the entire road, and its color changes according to the time of day. While the sun is at the top the greenish tones stand out with great brightness, but at sunset it seems the magical entrance to a mysterious forest full of golden tones. Photographers immediately fall in love with the tunnel no matter what angle they capture it from. The almost three kilometers of tunnel are perfectly molded to let the train pass and all the branches come out unscathed. That is why it has that particular square shape, because no human passes by to prune or fix the passage. This beautiful natural tunnel is considered one of the most romantic places in the world, because in addition to its particular mixture between the works of man and nature, the light and the branches of the trees create a unique landscape of difficult vibrant colors to resist. Couples feel that, for a moment, they have entered a limbo between reality and magic, and some also seem to feel in a more ancient apoca. If you go to Ukraine definitely take a day to travel to the small town of Klevan, which only has 8,000 inhabitants, and ask the locals for the address to the railway headquarters and the way to follow to the tunnel of love. Of course, you must go with your partner to make a wish and make it come true.